Head of the Reform and Reconstruction Alliance, Sayyid Ammar al-Hakim, in his office in Baghdad received Democratic Party of Kurdistan delegation Sunday 13/1/2019. His eminence with delegation discussed latest political situation and called to resolve disagreements and complete the government cabinet as soon as possible. 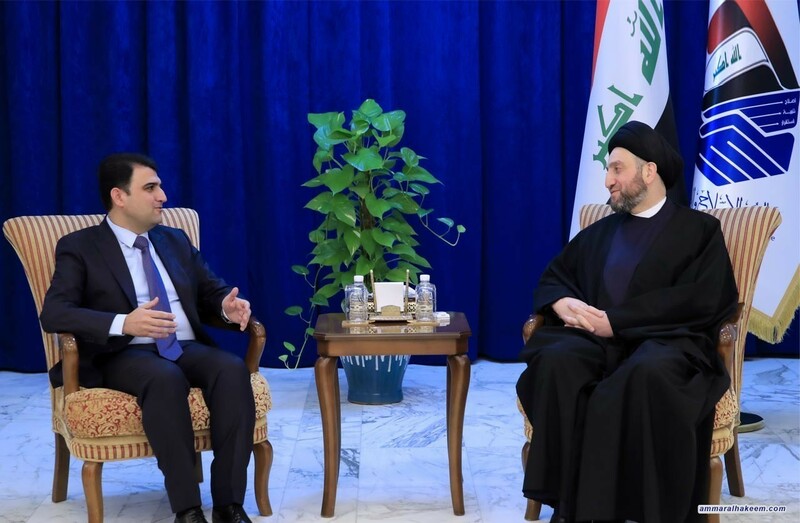 His eminence stressed on completing the government cabinet so that the government carry out service and development program, pointed out that the government program is under clear timeframe, and called for favoring public interest over parties' interests. Regarding the formation of the Kurdistan region government, his eminence indicated the importance of cooperation, trust and close relations with the central government, noted that all problems can be solved by depending on the Constitution and in observing the supreme national interest, emphasized that the priorities of the current phase are services, job opportunities and the fight against corruption. 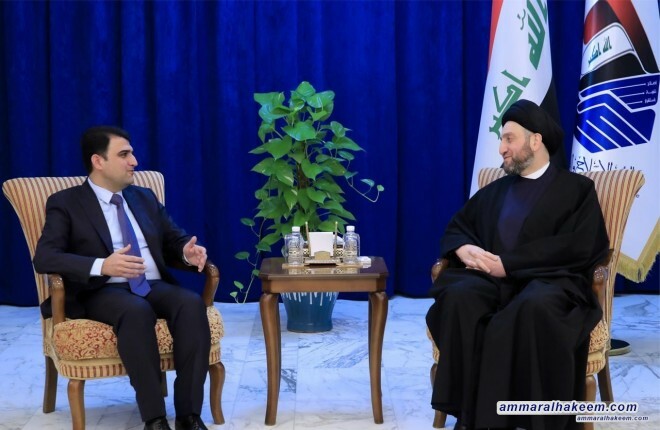 His eminence stated that the Reform and Reconstruction Alliance represents a qualitative transition in the political process, called on the Kurds conclude their opinions and join the national projects that are unbiased to sectarian and ethnic sides.